The Center Of Attention in Wolf Ranch is a beautiful 2-story home with many exciting amenities. 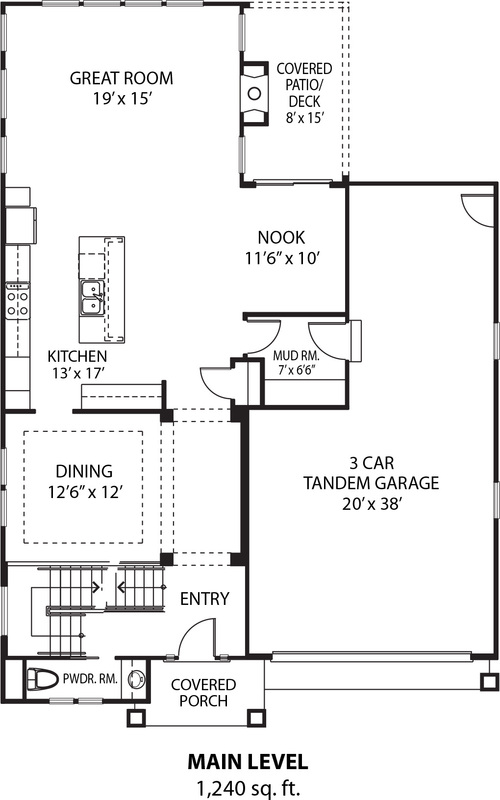 With this large floor plan, all of the rooms are luxuriously spacious. The main level is home to a grand entryway, great room, kitchen with an island and breakfast nook, the option of a formal dining room or study, a covered porch and the option of a 5-car garage. Ascending up the stairway leads you to the exquisite master suite with twin walk-in closets, a premium 5-piece bath including a split vanity and large soaking tub, and an optional owner’s retreat. 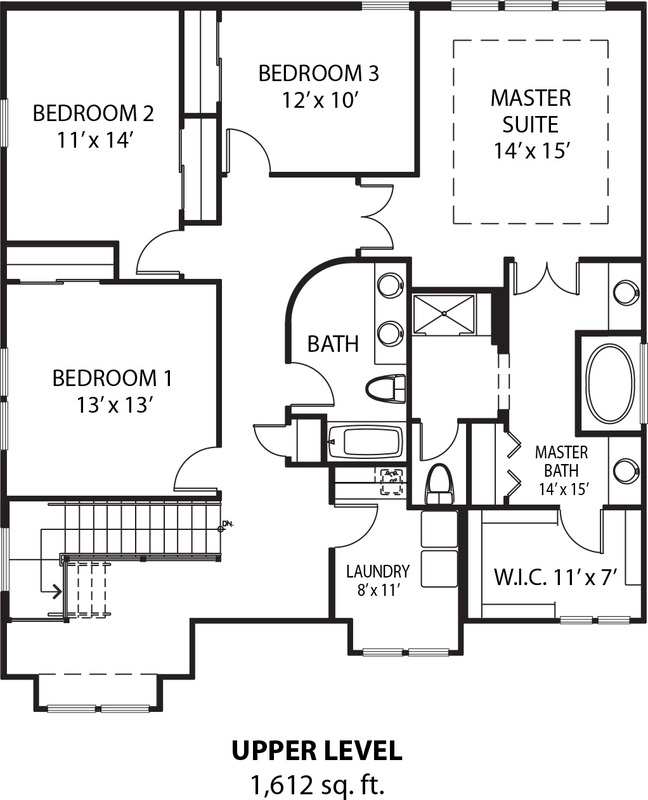 The laundry room is conveniently located near the bedrooms to make the dreaded task of laundry that much easier. The loft on the upper level offers flex space, a homework nook, and an amazing curved wall, which serves as a stunning architectural feature. Down below, the sprawling basement rec room with an optional built in bar is the perfect place for entertainment and relaxation. 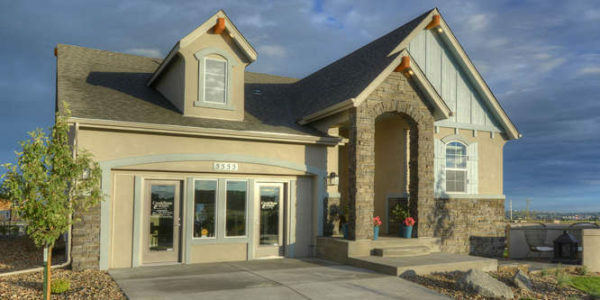 The award-winning community, Wolf Ranch, is conveniently located off the Powers corridor at Research Pkwy. This incredible neighborhood offers great amenities including a community center with year-round pool, neighborhood parks and trails. The popular Gateway Park welcomes all who visit the community with its lavish water feature and entertainment pavilion, and open wi-fi! Wolf-Ranch is also one of the only communities in Colorado Springs with a dedicated neighborhood dog park, “WOOF Ranch Park”.